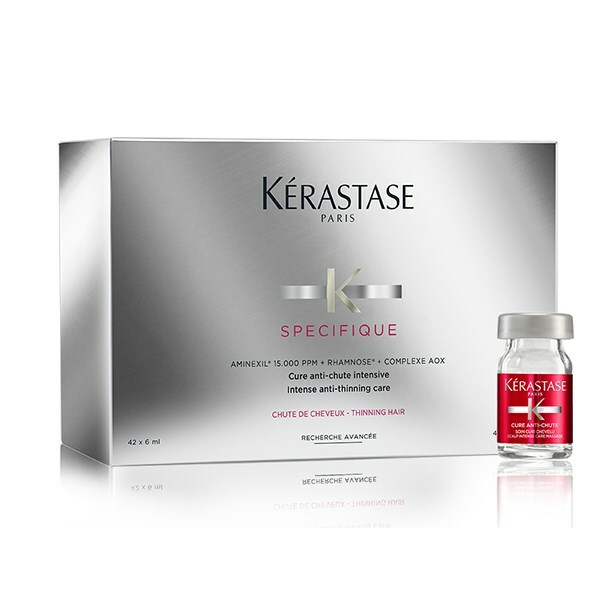 An intensive 6 week program to counteract hair loss and preserve hair density. 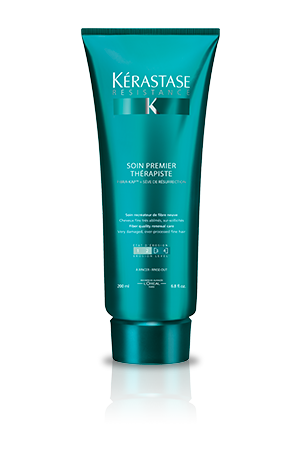 Improved technology to help reduce the rate of hair loss and maintain the density of thinning hair. 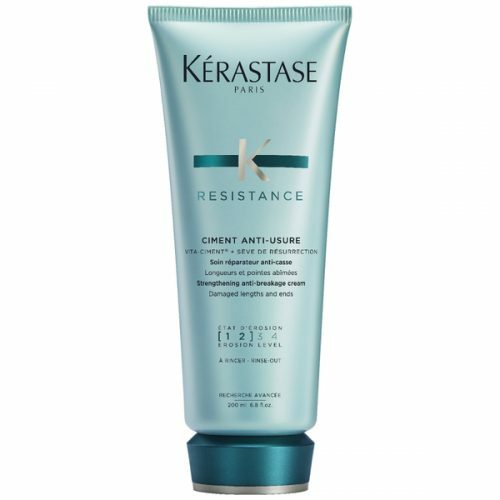 The first anti-hair loss and multi-target response by Kerastase, which combines three powerful ingredients to fight simultaneously all factors of hair loss. 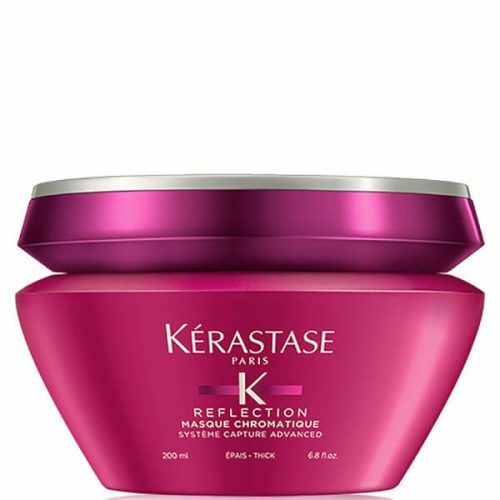 With its complete formula, the hair is more soft and sublimated while feeling natural. ** Self assessment of 124 people, after 7 days of application. The MADÉCASSOSIDE molecule is a sugar extracted from a plant well known for its soothing effects. 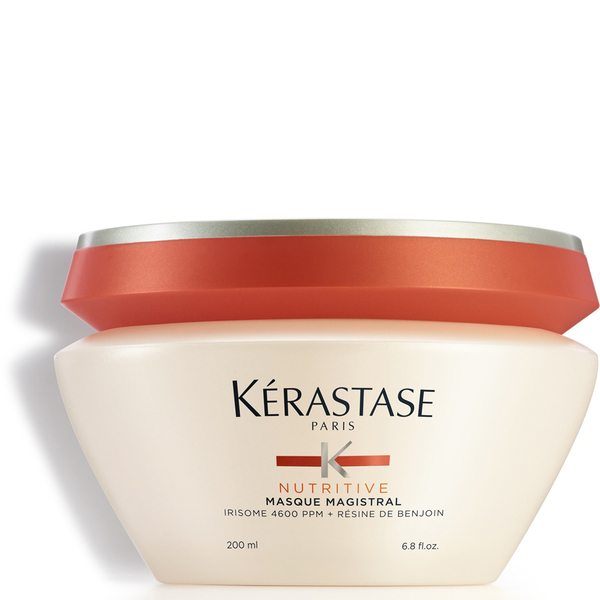 It helps leave the scalp feeling comforted and refreshed. AMINEXIL® has been specifically developed to target thinning hair. 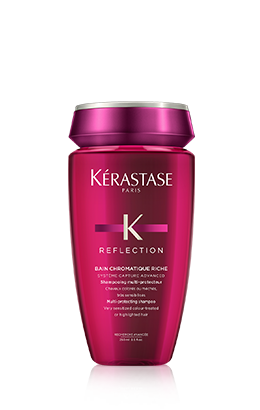 When applied everyday it: Helps reduce the rate of hair loss Helps maintain the density of thinning hair; hair feels thicker Clinical test with daily application on 119 people. RHAMNOSE®: give elasticity to hair scalp, for a better anchorage of the hair fiber.